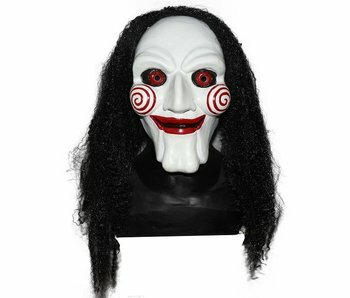 'I want to play a game.' 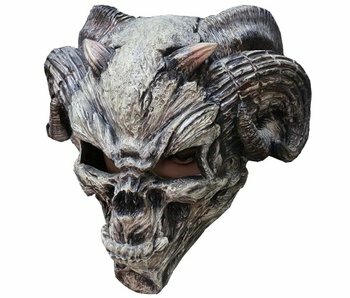 Put on this scary mask and make sure that no one will even dare to play Monopoly with you! 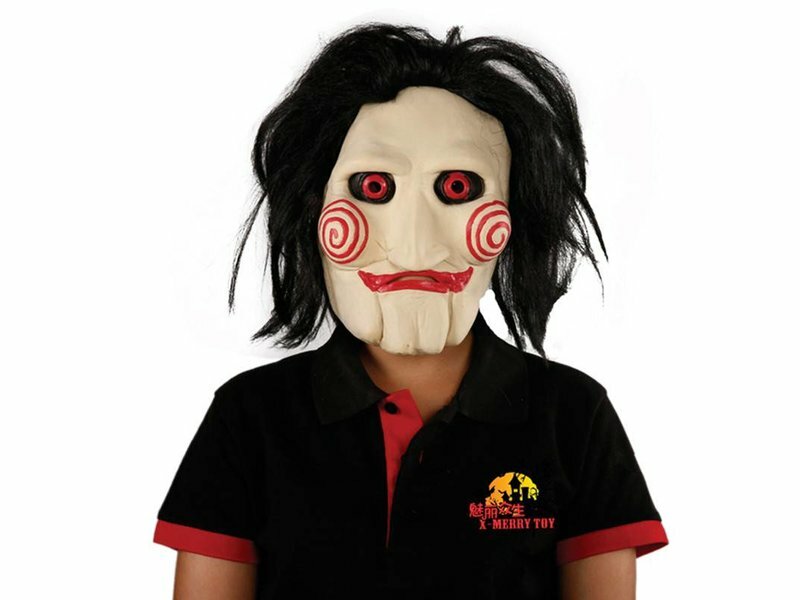 Jigsaw mask Deluxe. 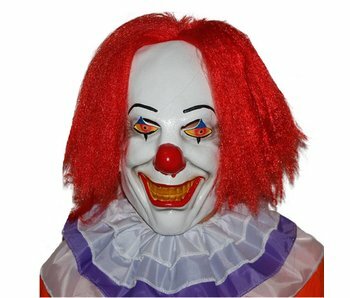 Known from the 'Saw' movies. Jigsaw is the main character that plays the bloodiest games with his victims. 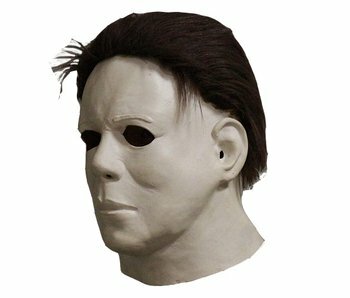 Jigsaw mask Deluxe is an one-size-fits-all mask. 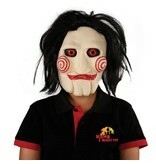 The legendary Jigsaw from the movie 'The Saw'. 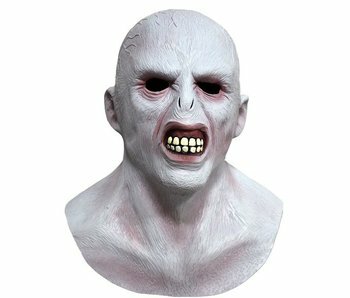 A real eye catcher during Halloween or theme party! 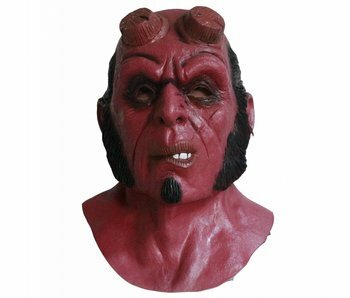 This mask is handmade from natural latex. 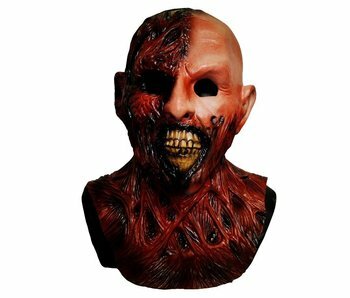 Darkman mask: A real eye catcher during any theme party! 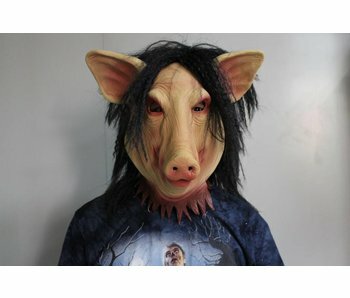 This mask is handmade from natural latex. Available from stock.